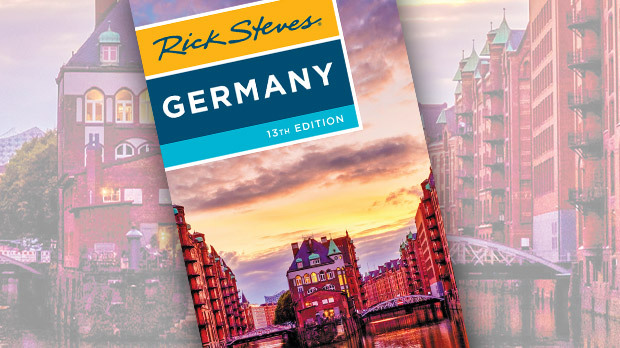 Touristy, glorious, and romantic, the mountainous borderlands of southern Bavaria house some of Germany's best attractions. 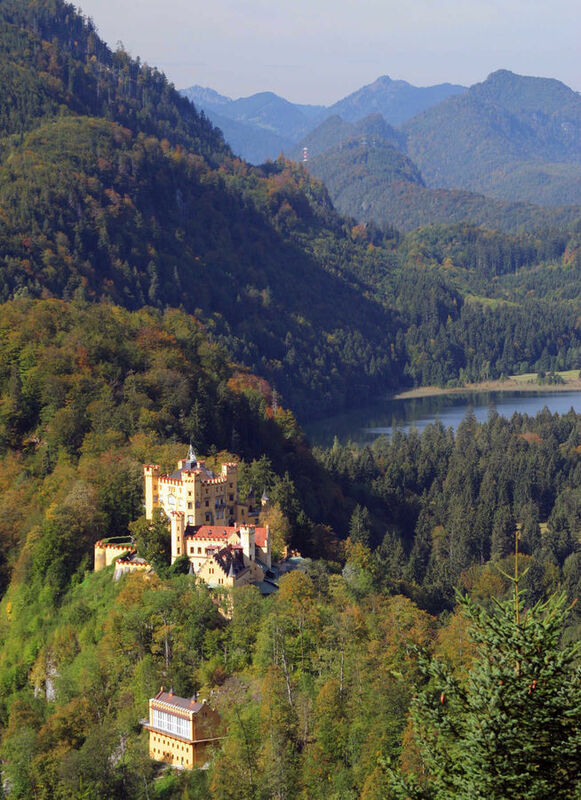 My favorites are three of King Ludwig II's castles: stocky Hohenschwangau, his boyhood home; the nearby and fanciful Neuschwanstein, his dream escape; and Linderhof, his final retreat. Ludwig was just 19 when he became king of Bavaria in 1864. Rather than live with the frustrations of a modern constitution and a feisty parliament reining him in, he spent his years lost in Romantic literature and operas…chillin' with the composer Wagner as only a gay young king could. From his bedroom in Hohenschwangau, Ludwig trained a telescope on a ridge to keep an eye on Neuschwanstein as it was being constructed. On my last visit, I peered through that telescope up to Neuschwanstein Castle (which inspired another boy, named Disney). I could relate to the teen-king Ludwig. As a kid bound by schoolwork and house rules, and with a stretched-out turtleneck and zits rather than crowns and composer friends, I, too, had built a castle: a tree house with a shiny roof. It was the envy of other little kings in my neighborhood. 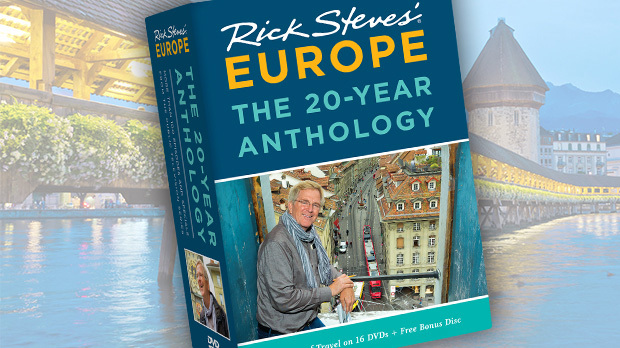 Then, at age 18, I made my first independent trip to Europe. I toured Ludwig's postcard-perfect Neuschwanstein, and saw firsthand just how big, dramatic, and over the top a "real" fairy-tale castle could be. Ludwig's extravagance and romanticism earned him the epithet of "Mad" King Ludwig. With towering turrets in a striking setting, these castles are a huge hit with sightseers. Every tour bus in Bavaria converges on Neuschwanstein and Hohenschwangau, while more tourists flush in each morning by train from Munich, two hours away. Like the wave of a magic wand, a handy reservation system with set admission times sorts out the chaos for smart travelers. The castle, built in the age of the typewriter and telephone, is a textbook example of 19th-century Romanticism. After the Middle Ages ended, people disparagingly named that era "Gothic" — meaning barbarian. Then, all of a sudden, in the 1800s, it was hip to be square, and Neo-Gothic became the rage. Throughout Europe, old castles were restored and new ones built, this time plastered with features recalling, with little historical accuracy, a bygone age of chivalry and mystique. Germany became a single united country only in 1871. As if to bolster its legitimacy, the young nation dug deep into its murky, medieval past. 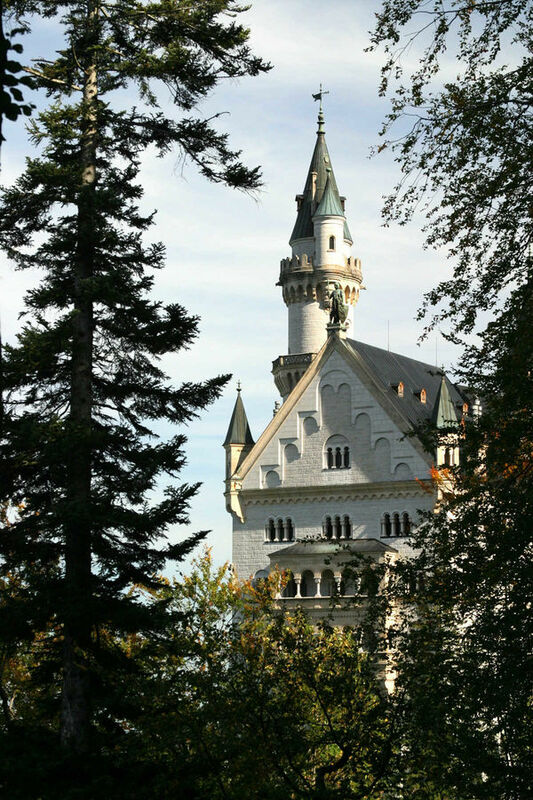 These same heroes and legends inspired young Ludwig in decorating his fanciful castles — Neuschwanstein's lavish interior is covered with images of damsels in distress, dragons, and knights in gleaming armor. Sitting at the foot of the hill, Hohenschwangau Castle is more lived-in and historic, offering an excellent look at Ludwig's life (with fewer crowds). Originally built in the 12th century, it was ruined by Napoleon. Ludwig's father rebuilt it, and you'll see it as it looked in 1836. The walls of the beautifully painted rooms are slathered with the epic myths and exotic decoration of 19th-century Romanticism. The homiest of Ludwig's castles is the small and comfortably exquisite Linderhof, set in the woods 15 minutes from Oberammergau, the Shirley Temple of Bavarian villages (a 45-minute drive from Hohenschwangau). Surrounded by fountains and sculpted, Italian-style gardens, it's the only place I've toured that actually had me feeling palace envy. Ludwig lived much of his last eight years at Linderhof. Frustrated by the limits of being a constitutional monarch, he retreated here, inhabiting a private fantasy world where his lavishness glorified his otherwise weakened kingship. He lived as a royal hermit; his dinner table — pre-set with dishes and food — rose from the kitchen below into his dining room so he could eat alone. Beyond the palace is Ludwig's grotto, a private theater for the reclusive king to enjoy his beloved Wagnerian operas — he was usually the sole member of the audience. The grotto features a waterfall, fake stalactites, and a swan boat floating on an artificial lake. The first electricity in Bavaria was generated here, to change the colors of the stage lights and to power Ludwig's fountain and wave machine. My preferred home base for exploring Bavaria's castles is Füssen, a town that's a mix of real-world and cutesy-cobbled; it's the closest to Neuschwanstein and Hohenschwangau, and also the handiest for train travelers. Reutte, actually just over the border in Austria, isn't as appealing as a town, but its surrounding villages are home to some of the coziest rural accommodations in the region, making it particularly good option for drivers. Ludwig was king for 23 years. In 1886, fed up with his extravagances, royal commissioners declared him mentally unfit to rule Bavaria. Days later, he was found dead in a lake. People still debate whether it was murder or suicide. But no one complains anymore about the cost of Ludwig's castles. Within six weeks of his funeral, tourists were paying to see the castles — and they're still coming.